Diamonds are a girl’s best friend but they can’t make you giggle like a first grader the way a girl friend can. The impact of a good friend is immeasurable and indescribable. Whether you are in first grade or forty-…, sometimes you just have to giggle. There are people throughout life who make an impact on you. An example is Jessica, the patient woman who taught our 3 kids (and thousands of others) to swim. What a non-optional, life skill! I ran into Jessica at the grocery store the other day. She was buying a challah to make bread pudding because her daughter was begging for it. I had to have a recipe that was begged for and she texted it to me immediately. You know my hesitancy with crock pots but this is my style of crock pot cooking. 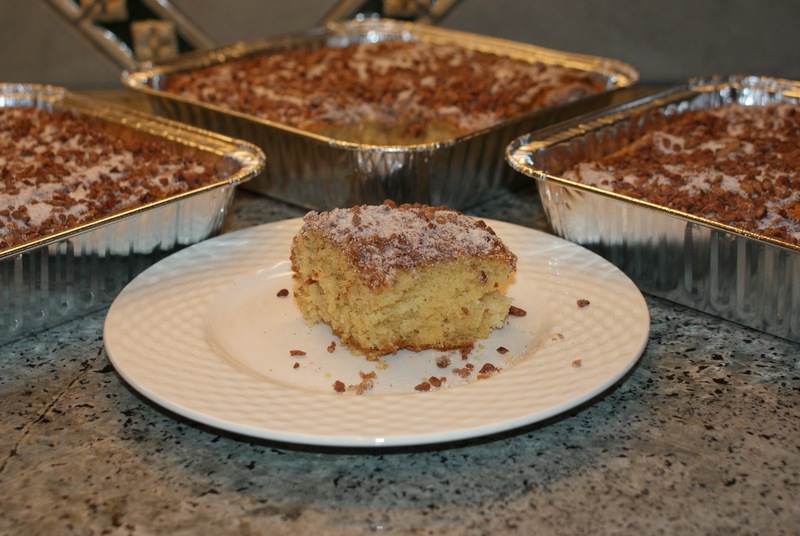 The bread pudding recipe is below; if you want swim lessons, check out Swimmers by Jessica. The other day, I had to give a brief introduction of myself to a group. After the usual, this is where I went to school, this is what I do, I had a few minutes left to fill so I said “I don’t particularly like to exercise but I do it because it’s good for me and it’s easier than listening to my husband nag me.” I will admit though, one of my latest sources for new recipes is coming while I am on the treadmill watching Food Network. I may have to adapt my intro. 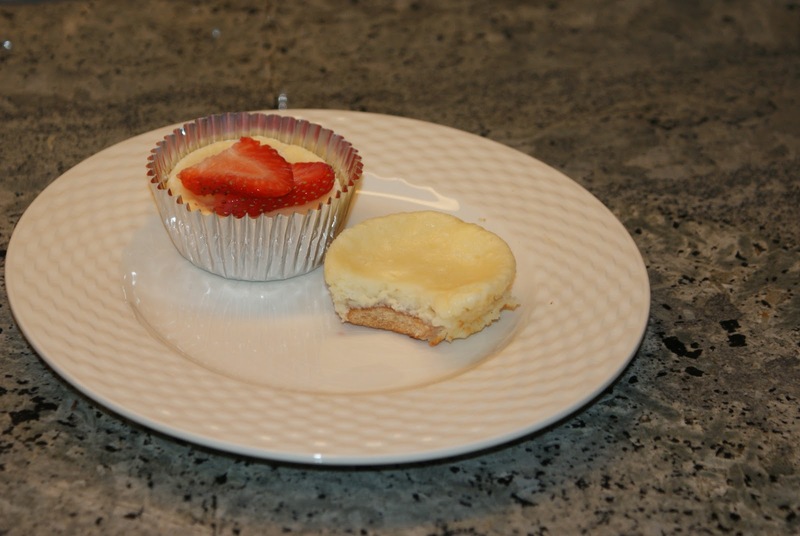 This recipe came from Giada De Laurentiis. When at the grocery store, I could not find Swiss chard but there was green, red and rainbow. The produce guy said red so I used green for no reason other than I didn’t want red spinach-y looking leaves in my pasta. I also did not find rotisserie chicken breasts although I found a whole chicken, so I ended up roasting my own. (I also grilled some chicken breasts the other day and put them in the oven to finish them, turned off the oven, forgot about the chicken breasts, and David found them this morning – 3 days later). This pasta is hearty, rich and creamy; better suited for the adult taste buds in our house. Place the chicken broth and mushrooms in a small saucepan. Bring the broth and mushrooms to a boil over medium-high heat. Turn off the heat and allow the mushrooms to soften in the liquid, about 20 minutes. Remove the mushrooms and coarsely chop. Reserve the liquid. Bring a large pot of salted water to a boil over high heat. Cook the pasta until tender but still firm to the bite, stirring occasionally, 8 to 10 minutes. Drain and reserve about 1 cup pasta water. Heat the oil over medium-high heat in a large nonstick saute pan. Add the shallots, mushrooms, 1 teaspoon salt and 1/2 teaspoon pepper. Cook until the shallots are soft, about 3 minutes. Add the chard and cook until wilted, about 7 minutes. Sprinkle 1 teaspoon salt and the remaining 1/2 teaspoon pepper. Remove the pan from the heat, add the pasta and then the mascarpone cheese. Stir until the mixture is smooth and creamy. Add the chicken and the reserved mushroom-cooking liquid to the pasta. Add reserved pasta water if necessary. Toss until all the ingredients are coated and serve. Preheat oven to 350. Rub chicken breasts with olive oil and sprinkle with salt and pepper. Roast for 35-45 minutes (chicken should reach 170 degrees). Allow to cool. Once cooled, remove skin and pull meat from the bones. Cut into bite size pieces. Two bone-in, skin-on chicken breasts (1 1/2- 2lbs) typically yield about 2 cups of cooked chicken meat. My first taste of miso cod was at Nobu in NYC. It simply melts in your mouth, "like butter". During one of our visits to Nobu, we saw Meg Ryan, Russell Crowe and Joaquin Phoenix. It was before the news of their (Meg and Russell’s) affair broke. We didn’t even know what we were witnessing. I would never make it as a reporter at TMZ. My friend Heather, long time reader, first time recipe donor, passed along this recipe which was from a friend’s brother or something like that. Anyways, good recipes are shared like this one. I had tried a similar recipe before and it did not receive rave reviews. This one did! Invest some time in finding these ingredients and keep ‘em around. Mix first 5 ingredients in shallow glass baking dish. Add fish and turn to coat. Cover and refrigerate at least 2 hours and up to 6 hours (I have also seen recipes that say up to 48 hours – for the record, I marinated the fish for 6 hours). If you choose to broil the fish, preheat broiler. Remove fish from marinade. Place fish on rimmed baking sheet. With broiler door slightly open, broil fish 6 inches from heat source until just opaque in center, about 6 minutes. Transfer to plates. In honor of a great mom, a superb Mimi, and a wonderful cook, a reflection on some of my favorite dishes and memories of childhood - courtesy of my mom. Happy Birthday!! About 45,000 Longhorn fans and I showed up to the football game on Saturday. I am not sure where the team was because the guys suited up on the field were not the same team that played the week before against West Virginia. Then again, the W Va team did not show up to play Texas Tech this weekend either. The Horns took a beating and the kids and I lost our annual bet with our OU friends. Yet again this year, we are treating to ice cream. Perhaps we will offer this option. I saw it on the Food Network while walking on the treadmill and we drowned our sorrows in it Saturday night. Aaron McCargo Jr. of Big Daddy’s House hosted a Wafflicious show and made a Dulce de Leche Cake Waffle. The fun part of this recipe is using boxed cake batter to make the waffles. We used a chocolate cake mix and then the kids picked the toppings for their sundae. You will use about 1 cup of batter for each waffle which meant leftovers for some mini-cupcakes. The Horns may have lost, but OU still stinks (some rivalries just keep going even in a down year). 4. Toppings, like chocolate sauce, caramel sauce, bananas, whipped cream, cherries, nuts…. Prepare the cake batter using the instructions on the box. Spray the waffle iron with nonstick spray. When ready, pour about 1 cup of cake batter onto the waffle iron. Remove the waffle when done. You can keep it warm by placing it on a wire cooling rack on top of a cookie sheet and in an oven at 250 degrees. When ready to serve, cut the waffle into pieces. Place 1 piece (or more if you’re hungry) into a bowl, top with ice cream and then your selection of toppings. Texas-OU. A full week of smack talking, chest beating and wagering. It’s a rivalry 106 years old. Friendships are put on hold for 4 hours. A stadium that is half orange and half red. The game also means a Fletcher’s corny dog and other fried concoctions, “meet at the left toe of Big Tex,” husbands who want to be at the Fair when the gates open to eat corny dogs and drink beer at 9am, traffic and questionable parking lots, ticket shuffle, crazy students who certainly don’t resemble us when we were that age, long lines for the bathroom, and Travis and Andrew’s first TX-OU (it’s “too loud” for Elizabeth). When in Austin, a go-to restaurant is Matt’s El Rancho. They serve a queso appetizer called the Bob Armstrong dip. In Dallas you can get your fix at Mattito’s or try this rendition at home. No matter the colors that you wear or the team that you cheer for, this queso is always a winner. It’s 8am on the Thursday before TX-OU and OU still stinks (yes, I know what the real saying is but this is a family blog). Cut up the Velveeta into small chunks. 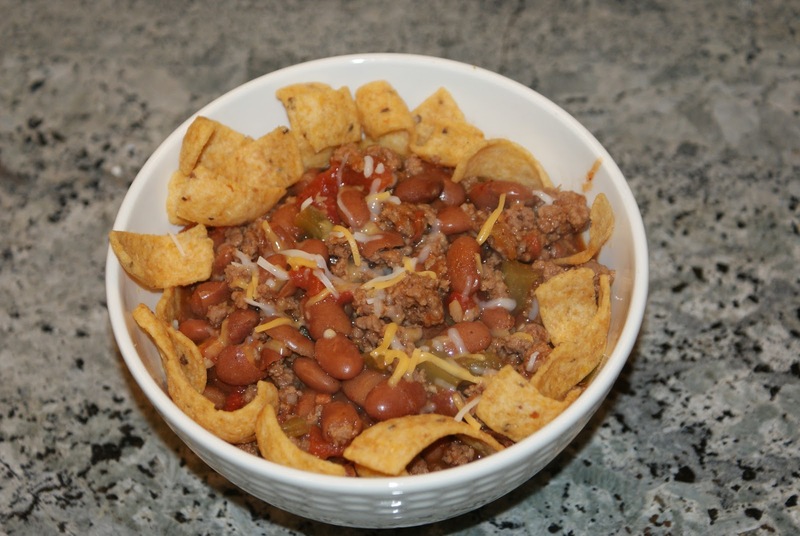 Place in a large saucepan and add the Rotel. Cook on low heat until the Velveeta melts, stirring frequently. Separately, brown the ground beef and once done, drain the grease. Return to the pan, add the taco seasoning and follow the directions on the packet. To assemble, pour the queso into a bowl. Add dollops of the seasoned ground beef, sour cream and guacamole. Stir and enjoy! “I want my baby, baby, baby, baby, baby back ribs…” Our weekday evenings have become so busy lately that we have started cooking more on Sundays but yesterday, I think we might have overdone it. David fired up the Big Green Egg and the urge to grill everything in sight takes over. On goes the rack of ribs and a few chicken breasts and a 5 lb brisket in the oven. I think it’s safe to say that we are set for the week. And you are invited over if you are hungry. If you don’t have a green egg (big or otherwise), try it on a grill (indirect heat) or in a smoker. The kids licked the rib bones and their fingers clean (not to be confused with their finger bones ‘cuz that would just be gross). First, you want indirect heat so you will need to have a plate setter or something else in between the coals and ribs. Low and slow is the key. Get the temperature to 225 and then hold it steady. If you are using wood chips, soak them for 30 minutes to 1 hour in water, drain and then place the chips directly on the coals at the beginning. For the ribs, coat them with olive oil and then add a dry rub. We used Kuby’s but select one that you like. A dry rub recipe that I found on the web is listed below – we did not use this so I don’t know if it’s good. Put an aluminum pan under the grate and fill it about half way with apple juice. You may need to add more if needed during the cooking. David used a v-rack and put the ribs on top of the rack. Cook for 2 hours and then baste with BBQ sauce. Cook another hour. Remove from the egg/grill/smoker, put the rib rack in aluminum foil, add more BBQ sauce and a little apple juice (not too much, just enough to keep them moist) in the foil, and wrap up tight. Return to the egg/grill/smoker and cook for 1 ½ hours more, basting every 30-45 minutes with additional BBQ sauce. These ribs were done in about 5 hours or so, but some recipes say closer to 6 hours. It looks like chicken. It smells like chicken. It tastes like chicken. Yep, it’s chicken for dinner again tonight. 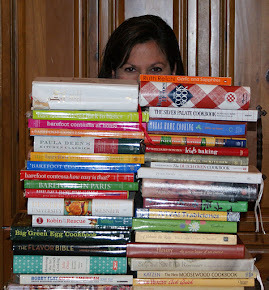 Do you ever feel like that: how many ways can I cook chicken and try to make it different? On this blog alone, I have posted recipes for an oven baked chicken parmesan and a chicken parmesan so to differentiate, this is called parmesan chicken. The real difference is minimal: one is baked, one comes from the freezer, and this one is pan fried. 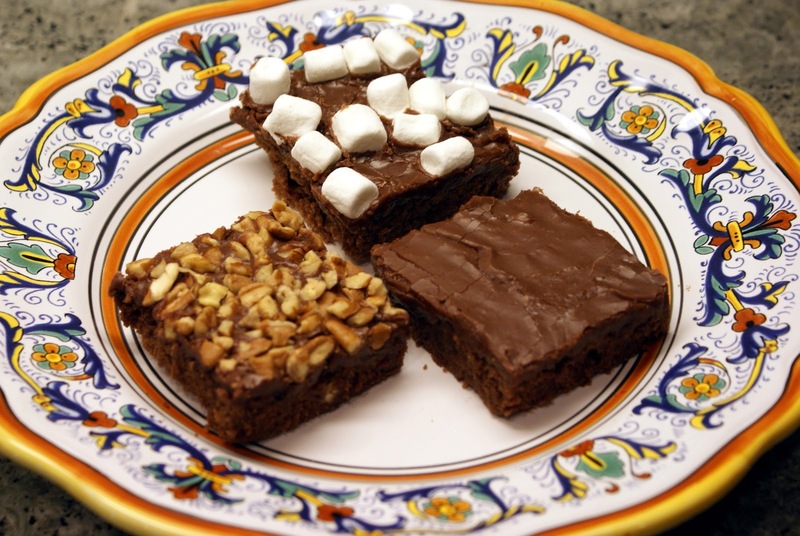 All are tasty and earn “yum” ratings from the kids. On this plate, the chicken is served with lemon fusilli pasta. Or serve it atop an arugula salad. Pound the chicken breasts until they are 1/4-inch thick (with a meat tenderizer (flat side)) or buy thin chicken breasts or butterflied chicken. Thin is key so that the chicken cooks quickly and evenly and it ultimately reaches 170 degrees. Gather 3 plates, pyrex dishes or pie pans for the coating on the chicken. In one, combine the flour, salt, and pepper. On the second, beat the eggs with 1 tablespoon of water. On a third, combine the bread crumbs and 1/2 cup grated Parmesan. Coat the chicken breasts on both sides with the flour mixture, then dip both sides into the egg mixture and dredge both sides in the bread-crumb mixture, pressing lightly. Heat 1 tablespoon of butter and 1 tablespoon of olive oil in a large saute pan and cook 2-3 chicken breasts on medium-low heat for 2-3 minutes on each side, until cooked through. Add more butter and oil and cook the rest of the chicken breasts.